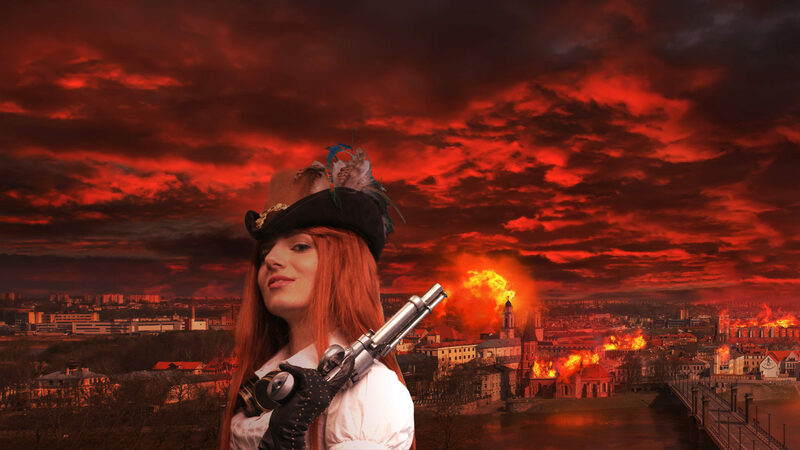 The European Steampunk Convention (EuroSteamCon for short) is the first event to connect the individual Steampunk scenes in every European country. The steampunk scene is growing in Europe. 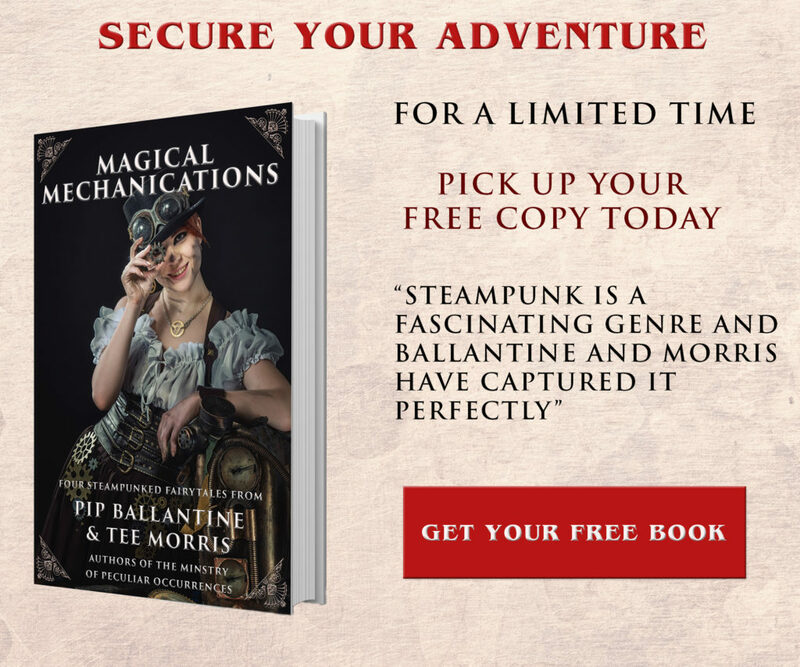 When you explore the ætherweb, it is hard not to notice the presence of steampunks from the Straights of Gibraltar to the Urals and from the Arctic Circle to the shores of the Mediterranean Sea. Alas, all the different scenes have thus far been local affairs, the same is true for events. There have already been a number of events in Spain, in France, in the UK, in Germany, in Poland. 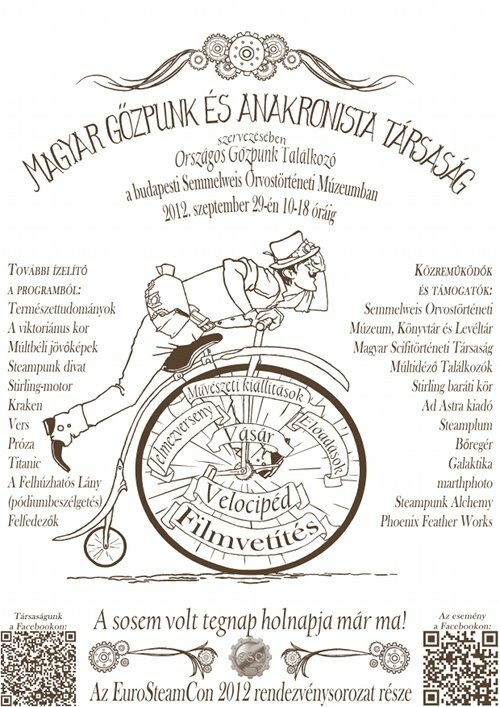 Sometimes steampunks from neighbouring countries hear about it and come along, but there has not been an encompassing event to connect all the scenes across the continent. It is our vision and mission to connect all the steampunks all across Europe. Since parts of the event will be held online, it will be easy to just tune in, read the streams, join a chat and participate, even if you are alone. The official hashtag for Twitter is #eurosteamcon, you can find Eurosteamcon on Skype and we will also have a hangout on Google Plus. For all the updates and last-minute changes, it is best to check out the official Facebook page. In times like these, when Europe is in crisis and governments blame governments for things other governments messed up, we want to celebrate our lifestyle in unity and have fun with and for everyone. After getting in touch with fellow steampunks via the ætherweb, the response was tremendous. Within days, there were people showing interest in Portugal, Spain, France, and even Slovenia and Belarus. Coordinating things and thinking about infrastructure was a nightmare for a time, but then we decided to do it decentralized. Everybody plans their party how they want. Now, we have events all over the Europe: Porto, Barcelona, Madrid, Paris, Luxembourg, Marburg, Mansfield, Ljubljana, Prague, and the list goes on. Not all of them will be able to join in online, but that is a secondary concern. The main thing is: Having fun steampunk style. We also had a number of bands get in touch with us but so far, we do not have the funds to hire many. But: Victor Sierra and BB Black Dog will perform in Luxembourg and Mansfield respectively. We will party like it’s 1899! We will connect across the continent via Skype, Hangout, Twitter (the last one can be done with every smartphone, I was told…) . And since this is online: Everybody can joiun in, European or not. Yes, this means you, too! We will take photos and make videos and have a compilation at one point to share with everybody involved and whoever is interested. Most important of all: We hope this is only the first and there will be many more to come! 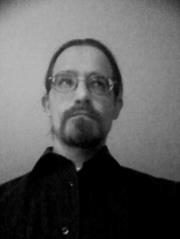 faithfully presented by Marcus R. Gilman of the Daily Steampunk blog.